Un giorno di regno, ossia Il finto Stanislao (A One-Day Reign, or The Pretend Stanislaus, but often translated into English as King for a Day) is an operatic melodramma giocoso in two acts by Giuseppe Verdi to an Italian libretto written in 1818 by Felice Romani. Originally written for the Bohemian composer Adalbert Gyrowetz   the libretto was based on the play Le faux Stanislas written by the Frenchman Alexandre-Vincent Pineux Duval in 1808. Un giorno was given its premiere performance at the Teatro alla Scala, Milan on 5 September 1840. Dramma giocoso is a genre of opera common in the mid-18th century. The term is a contraction of dramma giocoso per musica and describes the opera's libretto (text). The genre developed in the Neapolitan opera tradition, mainly through the work of the playwright Carlo Goldoni in Venice. A dramma giocoso characteristically used a grand buffo scene as a dramatic climax at the end of an act. Goldoni's texts always consisted of two long acts with extended finales, followed by a short third act. Composers Baldassare Galuppi, Niccolò Piccinni, and Joseph Haydn set Goldoni's texts to music. The first performance at La Scala on 5 September 1840 was a failure, and La Scala cancelled the remaining scheduled performances. They did not revive the work until 2001. Verdi would not attempt another operatic comedy until the end of his career with Falstaff . In the U.S., the opera received its premiere on 18 June 1960, while in the UK, the premiere took place on 21 March 1961. It was part of the San Diego Opera's June 1981 "Verdi Festival". Belfiore, impersonating the Polish king Stanislaus, is a guest at the home of Baron Kelbar and he comments to himself on his change of fortune: Compagnoni di Parigi...Verrà purtroppo il giorno / "If only my old comrades in Paris could see me now, the most dissolute officer in the regiment turned philosopher king." The Baron has recently arranged a political alliance by betrothing his daughter, Giulietta, to La Rocca, the Brittany Treasurer, but Giulietta prefers La Rocca's nephew, Edoardo. Another undesired marriage involves Baron Kelbar's niece, the Marchesa del Poggio, a young widow who is in love with Belfiore. She has become engaged to the Count of Ivrea because Belfiore has been unable to commit himself to marrying her, in spite of the fact that he does love her. Giulietta is alone with her attendants and expresses unhappiness in having to marry an old man: ’Non san quant'io nel petto...Non vo' quel vecchio / " “. When Baron Kelbar and Treasurer La Rocca arrive, followed in succession by Belfiore and Edoardo and then the Marchesa (who was planning to help the lovers), Belfiore draws the Baron and Treasurer La Rocca away on the pretext of discussing state business, leaving the young lovers alone with the Marchesa. Maintaining his role as the King, Belfiore makes the Treasurer an offer of advancement which would include marriage to a rich widow. By accepting, he agrees not to marry Giulietta. When the Treasurer tells Baron Kelbar that he refuses to marry his daughter, the Baron is affronted and challenges him to a duel. To add to the confusion all around, the Marchesa immediately proposes that Giulietta and Edoardo be married immediately. However, the false King returns and proposes that he will decide on a solution that will satisfy everyone. Belfiore, the Treasurer, and Giulietta enter discussing the reasons for Baron Kelbar's opposition to his daughter's marriage to Eduardo. Giulietta explains that the young man's poverty is the main objection and so Belfiore immediately rules that the Treasurer must give up one of his castles and give over a sum of money to the young man, and then all will be well. The latter is somewhat reluctant to disobey his sovereign, but seeks a way out of his duel with Baron Kelbar. All express their feelings, but things come to a halt when a letter arrives for Belfiore. It is from King Stanislaw announcing his safe arrival in Warsaw and releasing Belfiore from his task of impersonating him. In return, the King has created him Marshal. Before dropping the disguise, the "King" proclaims that Giulietta and Eduardo are to be married and, having received Baron Kelbar's consent, reads the true king's letter and reveals his true rank. He expresses his love for the Marchesa and all ends happily with the prospect of two weddings. 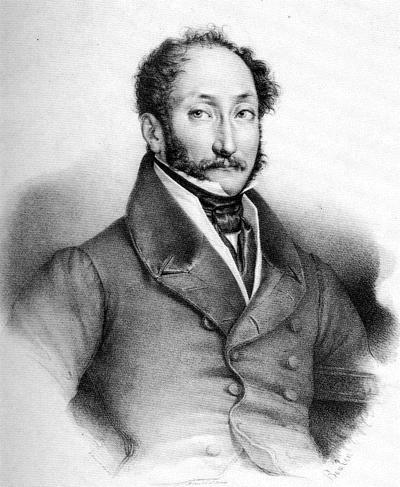 Lorenzo Salvi was an Italian operatic tenor who had a major international opera career during the nineteenth century. He was particularly associated with the operas of Gaetano Donizetti and Giuseppe Verdi; notably singing lead roles is several world premieres by both composers. Luigia Abbadia (1821–1896) was an Italian operatic mezzo-soprano known for her fine voice, secure technique, and a strong temperament. Possessing an uncommonly wide range, Abbadia sang several roles traditionally portrayed by sopranos in addition to roles from the mezzo-soprano repertoire. 1 2 Gossett, p. 37: Gossett goes on to note that "for many Italian librettists of the time, French operatic texts were a rich vein to be mined." ↑ Forbes, Elizabeth, "United Kingdom: London", Opera Canada, Vol. 40, No. 3, Fall 1999: Forbes notes: "Verdi's second opera has received many brickbats, but when performed with such zest by the singers and such rhythmic vitality by the Covent Garden Orchestra under conductor Maurizio Benini, it becomes irresistible." ↑ "CLVEGIOR.HTM" . Retrieved 16 April 2017.